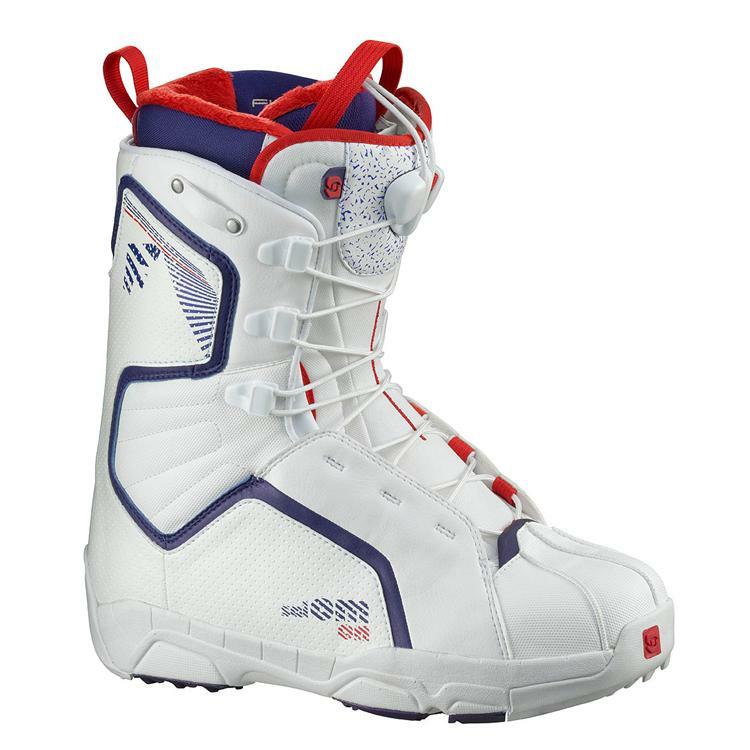 The F20 boot and the F22 are very stiff, low profile and have very good lace system. It’s not the easiest to set up, but unlike some lace boots, it locks at each upper rung so you can really micro adjust this if you want. The tongue on the F20 is a little different in 2011 and we like it. The whole thing that Salomon talks about is how it stiffens more when you tighten it, although that is interesting, that isn’t the cool thing. What we like more is the 3D molded tongue that has a more continuous bend than many of their boot tongues. Many people don’t mind the standard Salomon tongue that has a kink at the ankle but 3d molded tongue makes for a very even flex that is usually 100% pressure point free. Salomon boots also last a long time and don’t pack out much. 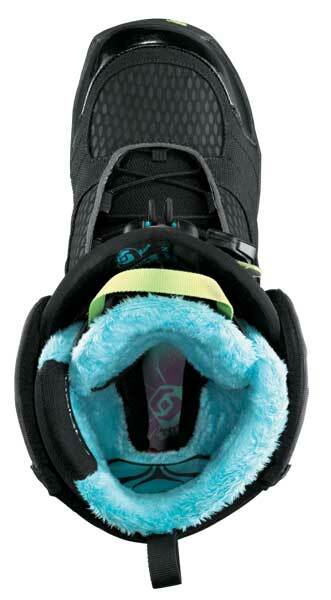 The F Series has a reduced footprint so a size 10 footprint is closer to a size 9 than other boots. The F20 also has great response and the 2011 mode’s semi articulating ankle helps add to this. Salomon boots can be tight on people with big calves and wide feet because they run a little narrow. 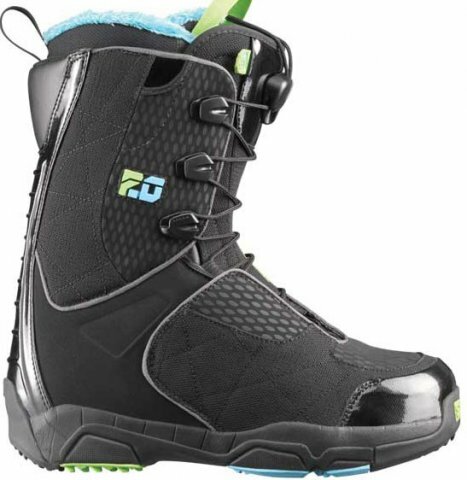 The F20 is a solid choice for anyone who wants a stiff, aggressive park or all mountain snowboard boot. Not much has changed for 2012 except for some minor refinements. 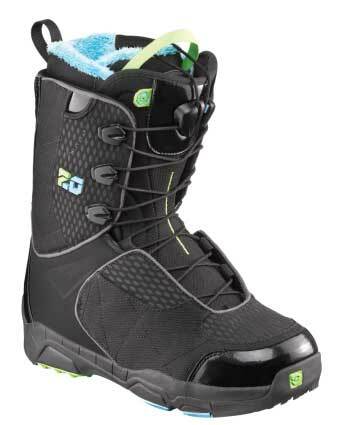 It’s still a great medium to stiff flexing boot that can handle a wide range of places on the mountain. We try to get as many images of the Salomon F20, but forgive us if they're not all there. This is for the stiffer F22 that I have been using for 4 months. I really enjoy this boot for what it is, a highly responsive narrow fitting boot. That it is a reduced footprint didn't sway me. But it does come with a cost. I use this with an aggressive Flux SF45 binding and stiff 7/8 all mountain board setup (Rossi One Magteck). It has helped me progress from intermediate to advanced. 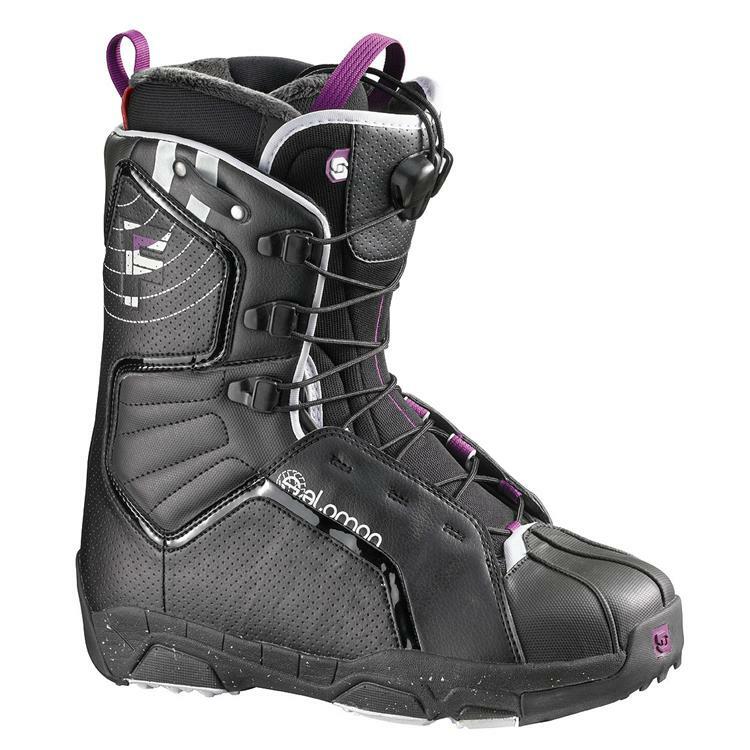 I enjoy the narrow fit, Salomon boots fit my narrow ankles great. I don't have to modify them much to eliminate heel lift while riding toeside. However, if you have wide feet, stay away. They do have a little give once broken in, but not much. They do allow you to twist your board any which way you need to, which is great for fast mogul runs & carving. The little give they do have is really appreciated when landing a sketchy jump. Park riding can be difficult, this is the trade off you make for all that great response you get from the F22. Jibs, Presses, Butters are all the more challenging. You can certainly bend the board, but keeping it bent and yourself all boned out can be down right hard with all that stiffness. I resorted to loosening the top laces completely when stopping in the park until I finally gave in and got a dedicated park setup. I don't hold this against the boot, I knew the boot was going to be challenging in the park before going in & purchasing the boot. If you only ride park seldom, it'll do. On jumps it's great. The bigger the jump the more I appreciate my setup, but I think the Rossi One takes most of the credit for that. 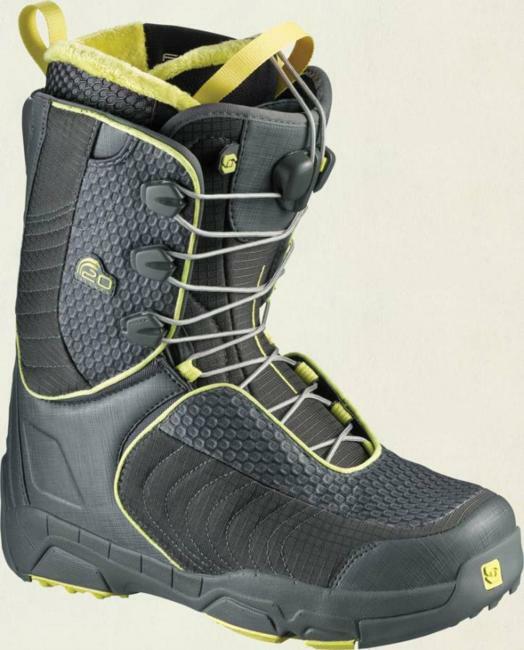 As the breakdown gets closer to 50/50 for mountain/park the more a softer boot will suit you better. 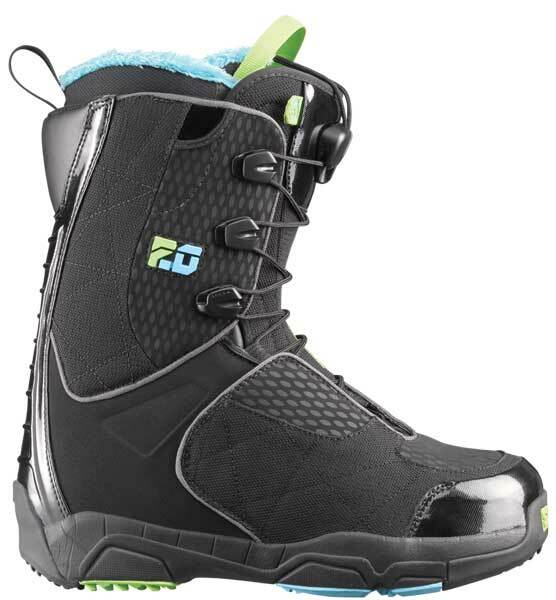 Riding in waist deep powder will make you wish for a more softer boot for that surfy feel. Also if your beginner you'll want a more forgiving, easier to ride boot, that won't bite you for all those mistakes you'll inevitably make. The reason why I gave it 4 stars is the reduced foot print and it's consequences. First off I ride the softer more playful Salomon Outsiders in the Park, and with the reduced foot print you'll have to size-up one 1/2 to avoid curled toes. So the difference ends up being less then you think. Also I feel the warmth is compromised with this reduction. I ride very early to go as fast as I want on fresh uncrowded early morning groomers, my toes can get really cold some days. Better insulation is needed in my opinion. I wouldn't mind trading some more "size" and "weight" for more warmth. It is still a great boot despite this, and it has a lot to offer those wanting to take their carving further. It lasts a long time, and has not packed out at all. I will be using this as my primary boot next season as well. 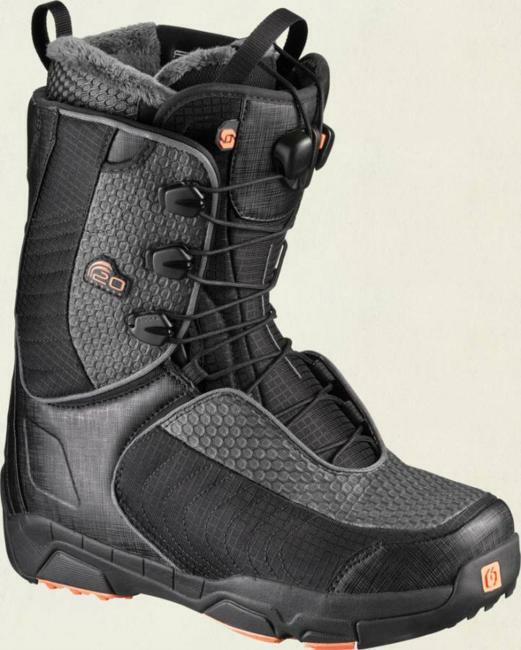 Thank you James & the Good Ride Crew recommending this boot. For me it is the best fitting boot I have ever had the pleasure to carve in.